Hubspot which is famous for marketing automation. But Hubspot is too much cost when you start a small business. I think we should consider using if the benefit can be predicted to some extent when using the Hubspot. You should try “Start small” at first by using wordpress marketing automation. I’ll give an example of “WordPress Marketing Automation in Small Business” corresponding to the “Service of Hubspot” of the image in the “Basic Plan”. Let’s try to make in your own domain in wordpress. In web marketing, blog will be an asset that produces income. I recommend that you keep have a blog of your operations in preparation for risk(such as when you no longer can use the hub spot) in the future. Even run around the Hubspot in the future, you expected to be synergies with blog. It can well be replaced with wordpress. Rather, there is no need for it means that you write an article to post to the CMS in a markup language such as html ,if you become the intermediate level. This is also possible in wordpress. First, we should operated by e-mail marketing a low-cost system, such as mailchimp. “Start Small” is very important. First, let’s managed by ZOHO CRM or Excel. It is possible to be imported into the Hubspot later. It is recommended to excel as much as possible. CRM tool is difficult to use. It is can be analyzed by the google analytics. It is a service to be inserted into the article in a single click the CTA (call to action). 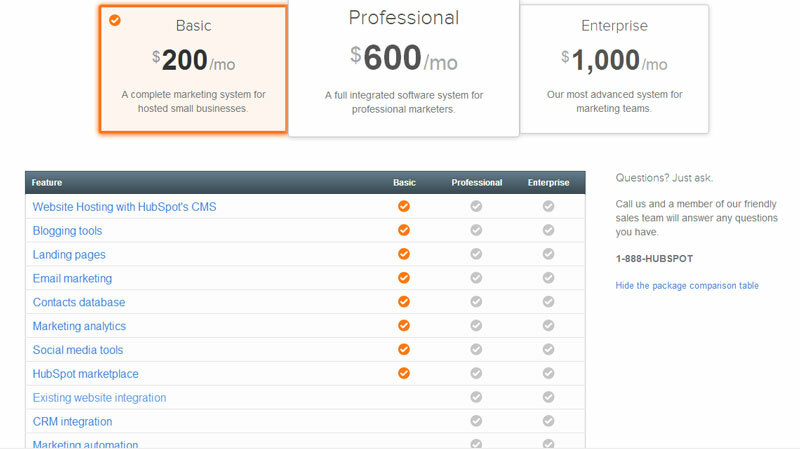 First, it is necessary to calculate the ROI(retuen on investment) of using the Hubspot. When the ROI is unpredictable, you should try “Start small” and collect data. To be a decision is made to implement when the ROI has become predictable. However, even if you do not use a Hubspot, is fully possible to run the wordpress marketing automation in Small Business such a way as described above. Please share if you feel this article is useful for someone. Kuniyoshi Takemoto is the founder of Amelt.net LLC, and editor of this blog(www.amelt.net).Learn more about our Company and follow me on LinkedIn.